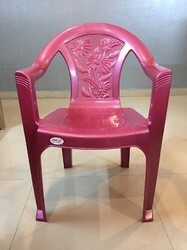 Owing to the rich industrial experience and expertise in this business, we are indulged in providing excellent quality range of Plastic Chair. 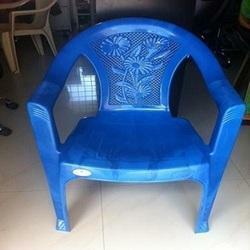 The offered Plastic Chairs are available in the market in huge range. 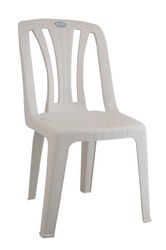 These Plastic Chairs are known for their high comfort. 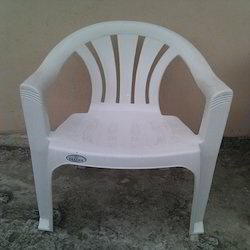 The offered Plastic Chairs are extensively used in a number of rooms in homes, for any form of creation involving a medium that can be sculpted or moulded. 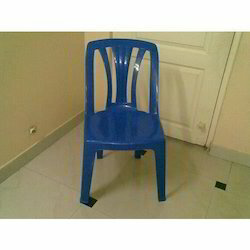 Blue Plastic Chair offered comprise quality constructed moulds that can be suitably used for developing finely designed and smooth handles for plastic chairs. Further, we can also develop these moulds in specifications as demanded by the customers. Some of its features include rich experience in mould development process, solutions can be offered in different mould base materials, high gloss polishing surface finish, option of single/multi-cavity construction finish, mould life of 1,000 to 1,000,000 shots. 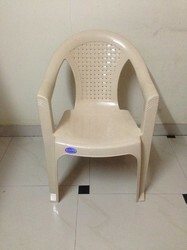 Our customers can avail from us a wide range of Modern Plastic Chair. Manufactured using high-grade raw material and advanced technology, these chairs are known for their lightweight, superior finish and rigid constructions. The chairs offered by us are used in households, offices, companies and cafeterias for their comfortable sitting. 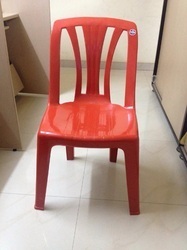 Clients can avail these chairs in various colors to meet the variegated requirements of our respected clients. 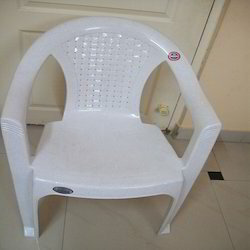 Plastic Chair offered comprise quality constructed moulds that can be suitably used for developing finely designed and smooth handles for plastic chairs. Further, we can also develop these moulds in specifications as demanded by the customers. Some of its features include rich experience in mould development process, solutions can be offered in different mould base materials, high gloss polishing surface finish, option of single/multi-cavity construction finish, mould life of 1,000 to 1,000,000 shots. 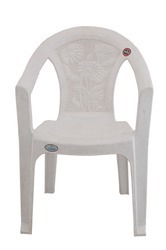 Plastic Chair offered comes in sturdy and durable construction finish and are offered in choice of different colors like blue, white or others as per customer’s requirements. Further, the use of virgin PP material also provides in these chairs long lasting usage value. Some of its features include good quality and competitive price combination, can also be offered in new mold designs as demanded by customers, injection moulded construction finish, available in various sizes and finish designs, suitable for home or hotel usage. 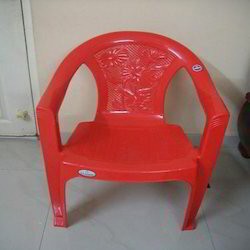 Red Plastic Chair offered comprise quality constructed moulds that can be suitably used for developing finely designed and smooth handles for plastic chairs. Further, we can also develop these moulds in specifications as demanded by the customers. Some of its features include rich experience in mould development process, solutions can be offered in different mould base materials, high gloss polishing surface finish, option of single/multi-cavity construction finish, mould life of 1,000 to 1,000,000 shots. 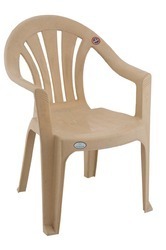 Strip Model Plastic Chair offered comprise quality constructed moulds that can be suitably used for developing finely designed and smooth handles for plastic chairs. Further, we can also develop these moulds in specifications as demanded by the customers. Some of its features include rich experience in mould development process, solutions can be offered in different mould base materials, high gloss polishing surface finish, option of single/multi-cavity construction finish, mould life of 1,000 to 1,000,000 shots. To surpass the cleanliness needs of our customers, we are engaged in providing them with a high quality range of Strong Plastic Chair. 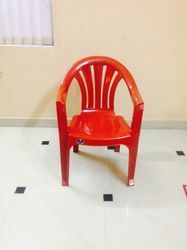 These Strong Plastic Chairs are offered by us in different sizes and we also customized these Strong Plastic Chairs as per the requirements of the customers. Strong Plastic Chairs are quality approved. 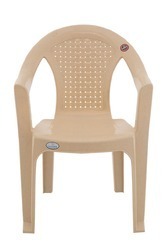 We are engaged in manufacturing and supplying a wide range of Strong Plastic Chair. The chairs offered by us are manufactured using optimum quality plastic, which is procured from the reliable vendors of the market. Owing to their features like lightweight, durability, comfortable sitting and portability, these chairs are widely demanded by the clients. 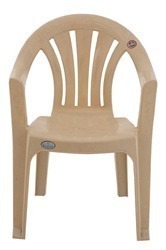 These chairs are also tested on various parameters so as to ensure their strong construction. 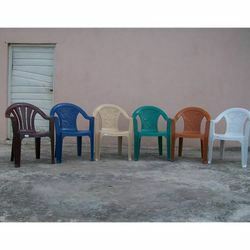 With the help of our experience team members, we have been able to offer a wide range of Coloured Plastic Chair. These chairs are manufactured in adherence with international standards and norms using optimum quality raw material and advanced technology. We offer these chairs in various attractive colors to meet the variegated requirements of our clients. The offered chairs are also tested on various so as to offer a quality approved range to our clients. Packaging Details: 16 pcs of chairs are first covered with a ldpe bag and then a hdpe/pp fabric bag is mounted on the chairs. the chair legs are also jointly and tightly tied together and other safety measures will be taken while packing. semi virgin plastic chair biscuit colour, 80% pure. Standard TW Plastic Chair offered comprise quality constructed moulds that can be suitably used for developing finely designed and smooth handles for plastic chairs. Further, we can also develop these moulds in specifications as demanded by the customers. Some of its features include rich experience in mould development process, solutions can be offered in different mould base materials, high gloss polishing surface finish, option of single/multi-cavity construction finish, mould life of 1,000 to 1,000,000 shots. 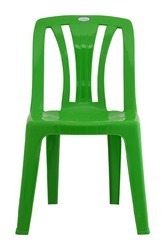 Looking for Plastic Chairs ?